1. How big is your dream? 2. You’ve got to know your why! 3. What have you got to gain? 4. Think about how good you’re going to feel and what you can do with the money! There were several reasons why I couldn’t post that article, but instead I harnessed the energy of that emotion. The Law of Attraction works on intense emotion! Joy is emotion, but so is intense anger; and both emotions will activate the law of attraction, and — IMHO — anger is a much stronger emotion than joy. We normally associate anger with negativity — and it usually is, but it doesn’t have to be if the energy is channeled positively. I mean the same fire that unbridled can destroy homes and forests, when contained and directed can power huge steam plants to create electricity, heat huge complexes and other things. Fire isn’t inherently bad, and neither is anger if it’s channeled properly. 1. Anger is not RAGE! It must be contained and focused. My anger was focused on finding solutions to my problem; finding ways to get around or circumvent my obstacle! There HAD to be a solution and i was going to find it. When I asked the right question — how can I get around this — a number of answers presented themselves very quickly. 2. Anger must fuel determination. “ I will NOT be denied!” When the answers were presented, I chose one and worked that plan. The anger was used to fuel my “why” and keep enough intensity involved. Getting angry because someone said you couldn’t do something when you know you can, forces you to act with intensity rather than whence in pain and retreat. 3. Make sure the target is clear! I was angry at a specific person, at a specific set of actions and results. My efforts were to neutralize their interference with my goals in a non-volatile way, and I found an ingenious way to make that happen. When executing my plan, I was not raging — I was calm, articulate, focused but intense and my mind was crystal clear about the result I was after. The anger kept the ENERGY up that I needed to succeed. Many times we don’t succeed because we run out of energy. When you’re angry the energy is constantly regenerated. 4. When the job is done… let the anger go. Breathe. Celebrate your accomplishment; do a snoopy dance, write an “I told you so letter” or whatever your ritual is to end the batter. You CANT stay angry forever. The purpose of the anger is not hatred, it’s energy, intensity. You can be very intense without being angry… but sometimes there is not substitute for anger, like sometimes there’s no substitute for fire. And anger — like fire — can also have a cleansing effect. Keep the metaphor! There’s fire in the furnace, you’re fueling the engine, and when you don’t need the fuel anymore… let the fire die… and celebrate your wins. Channeling your anger into a positive purpose is a matter of mindset, and when you master your mindset… you’ll master your life. I’ve never used anger as a motivator. It zaps my energy. Competition, now that’s a different story. I’ve used my competitive gene numerous times both professionally and personally. Anger doesn’t serve me well. It means I’m playing into the other person’s hands or emotions. I lack direction, focus, and I’m not being me. When I’m competing, I have a clear head, focused on the goal line, and in control. Thanks Steve! I appreciate your input. I know how you feel about zapping your energy, and I used to feel like that too until I had a couple of situations where I had to refocus and channel that emotion. Perhaps what I did was transform it into that competitive spirit you mentioned, and perhaps that’s what gave me the resulting clarity and resolve. I like that as a metaphor. I agree that pure unbridled anger is destructive and unproductive but transforming it into a competitive mindset would be very effective. Thank you for that! You’re absolutely right Mr K. Anger is scary! It’s scary to be on the other side when someone is angry, and it’s scary to feel ‘out of control’ angry. The ‘mad as hell but still in control’ anger is, however, healthy because, as you say, it can drive us. The key is to use the power behind it to move us forward but to avoid the red mist which stops us choosing a great direction for that forward momentum. This is where I’m a great believer in ‘respond’ rather than ‘react’. 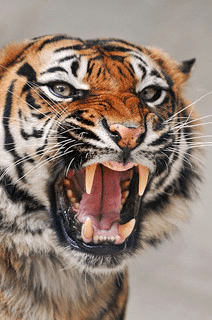 Recognise the anger for what it is, feel the power behind it, and allow yourself time before you respond… just as you so articulately described your neutralisation process – great blog! Sarah! Thank you for your input. I have been on both sides of the rage which is uncontrolled and generally unproductive in the long run. It took determination to learn to control and redirect it for a positive outcome. That mindset shift in itself is life changing. Thanks for stopping by. Still, anger can help us focus on solutions sometimes, even if it’s only to prove someone else wrong by showing everyone the right way, or the way something can and should work. I’ve had occasion to do that and it’s amazing how much better one can feel after letting it all go. Well, kind of let it all go; I still remember them all as a reminder to not let those types of things occur again if possible. I don’t think anything has ever come out of proving someone else wrong.